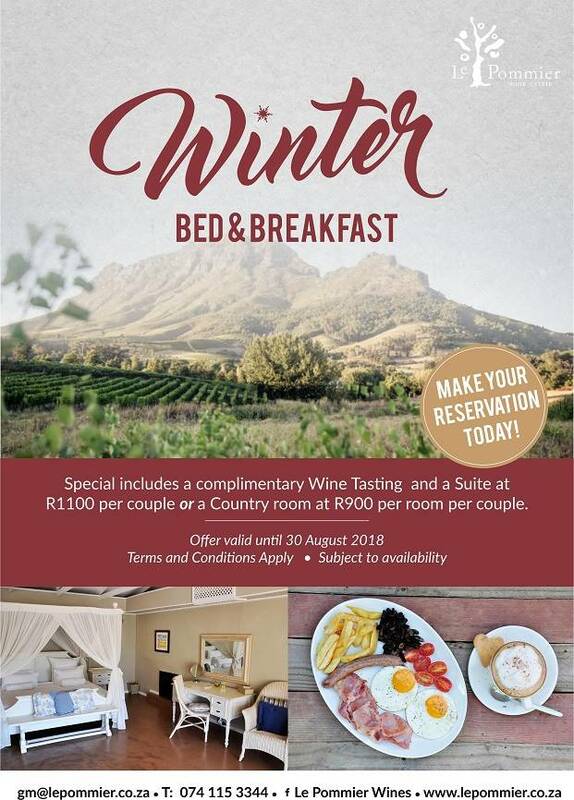 This winter, Le Pommier Wine Estate is offering up a Complimentary Wine Tasting when you spend a night at their wonderful Bed and Breakfast! During the winter months, treat yourself and your partner to a night away in the Cape Winelands! Le Pommier Country Lodge is nestled in a tranquil spot among the vineyards, which makes for the ultimate leisurely getaway. Enjoy a magnificent wine tasting at their Wine Estate and sleep in absolute comfort in one of their lavish Suites or Country Rooms. 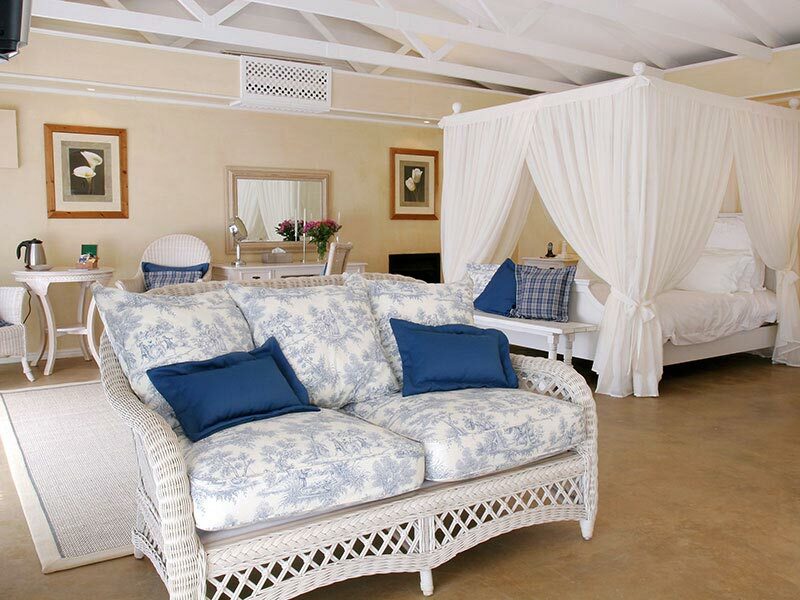 A Suite goes for R1100 per couple and a Country Room is R900 per couple per night. To top it all off, after a cozy night’s stay you will also be treated to a Full-English Breakfast. Next article Win a VIP Package to the Vodacom Durban July incl. Flights!